Steve and I are now well into our 30s and married with three children yet until a few days ago, we still had not sorted out a will. It's such an important job but something that we'd keep putting off as we imagined it would take lots of time, involve us rummaging through paperwork and cost a fair bit of cash. 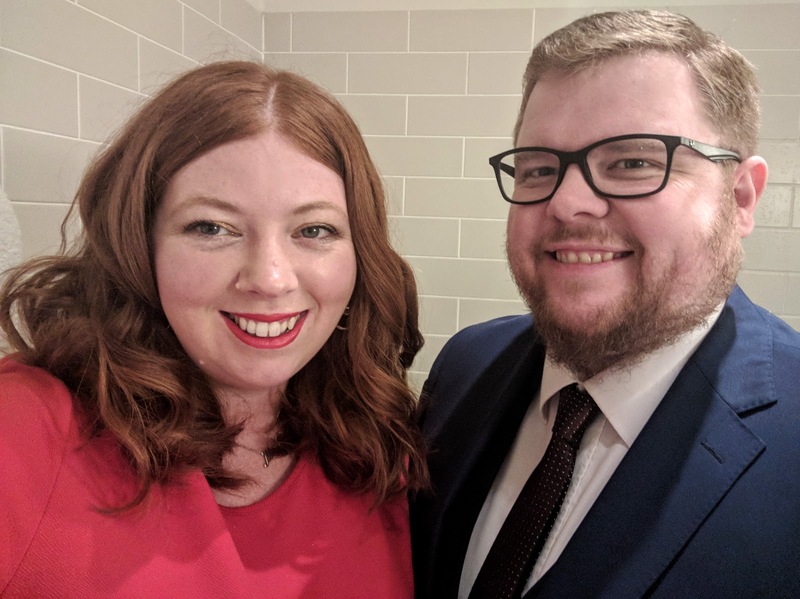 A few recent events in our family have really brought home how important wills are - even if you're married and I'm ashamed that we were one of the 1 in 10 parents in the UK who had no official guardian appointed to look after Harry, Heidi and Jack if needed. 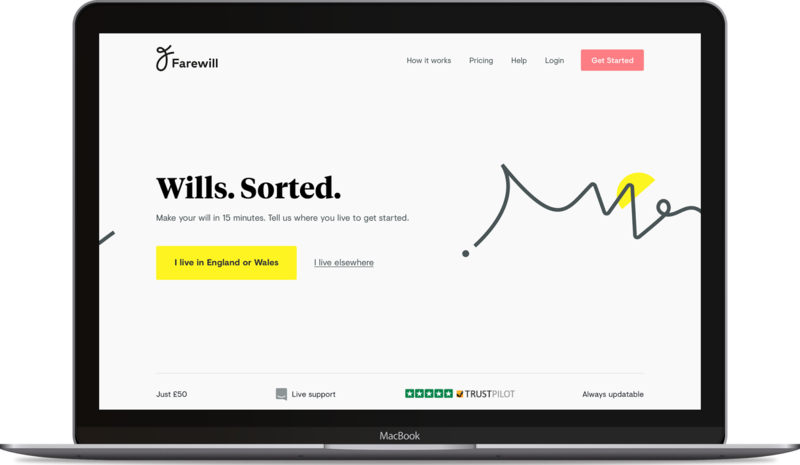 So when Farewill contacted us and asked if we'd like to try out their online will service and offered a fantastic discount code for my readers, I was keen to collaborate and see just how hassle-free the service actually was. Farewill is a tech start-up based in London made up of lawyers, designers and engineers. They are just over a year old and have already grown to be the biggest will writer in the UK. Their wills cost £50 up front (£85 per couple) plus an optional £10 per year if you'd like the ability to amend your will if your situation changes. I love this simple pricing structure! If you enter NEFF30 at checkout you'll receive a 30% discount off the up front cost too which takes the cost down to £35 for an individual or £59.50 per couple. Bargain! Find out more here. Use 'NEFF30' at check out to receive a 30% discount. My will is pretty straightforward if I'm honest and the whole process took around 15 minutes for me. Farewill say it should normally take 20-30 minutes. There is no complicated jargon and everything is explained perfectly. The main concern for me was appointing guardians for Harry, Heidi and Jack - this was super easy to do. I just needed the person's name and either their address or date of birth. The process explains what happens at each step of the way too - for example, I chose to leave 100% of everything I own to Steve and then ticked a box to say if he dies, this will go to his children. You can also split up your estate into percentages so I could leave 33% to each child if they were my wishes. I like how there's the option to leave specific gifts to specific people - I could leave a precious piece of jewellery to Heidi for example or may wish to leave something I received from my own grandparents to my brother and there's also a section where you can leave your funeral plans and wishes for your final resting place too. Once completed, your will is checked by a legal expert which takes around 5 days and once approved, you simply download your document, print and then sign with two witnesses (instructions for who to use as a witness are provided). Your will is now legally binding. It's important to store your will in a safe place and let your executors know where it is. You can also view your will at any time online via your account. Honestly, I had in my head that it would be a little bit of a chore to complete but Farewill really could not have made the whole process any easier. Don't just take my word for it though, Farewill has received 350+ reviews via Trustpilot and has a 5* excellent rating. I already think that Farewill's pricing is super simple - £50 per individual or £85 per couple up front. If you enter 'NEFF30' at check out before 31/5/18 you'll receive a 30% discount off this price which offers such fantastic value and £35 (or £59.50 for couples) is such a small price to pay for peace of mind. As part of the upfront cost, you'll receive 12 months worth of free updates. After this, you are charged £10 per year for the ability to make changes and for experts to check things over but this can be cancelled at any time via your account (I've checked this out and it's super easy to do). I've decided to stick with the £10 maintenance fee as it's less than the cost of a cinema ticket but I like the fact that I can update my will easily should I need to. Find out more here. Enter 'NEFF30' to receive a 30% discount. Before signing up to this process I'd heard of 'mirror wills' before and when Steve and I eventually got around to it, this is what we were going to go for. Mirror wills are virtually identical wills where one half of the couple will leave everything to the other and vice versa. Farewill doesn't offer one mirror will but does offer a discounted option for couples. 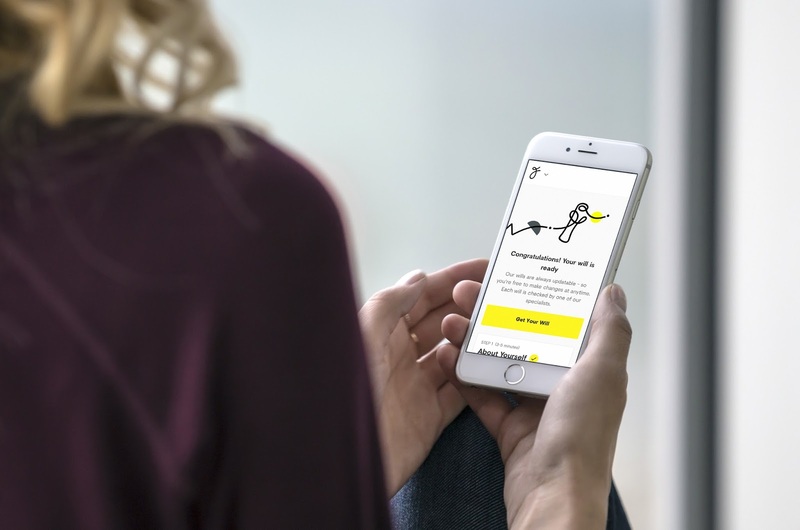 The restult is identical but gives you more flexibility in that you can offer personal gifts, messages and wishes. Find out more via the Farewill couples will page. Farewill is only suitable if you live in England or Wales, do not have a disabled dependent and do not have a complex property estate (eg property outside of the UK). I only ever endorse products that I've tried and tested myself and I'm happy to recommend. I've been really impressed with Farewill so far - it's such a simple platform to use, jargon-free, inexpensive and I only wish I'd signed up sooner. It's also nice to finally have that nagging feeling that I must get a will sorted taken away once and for all. 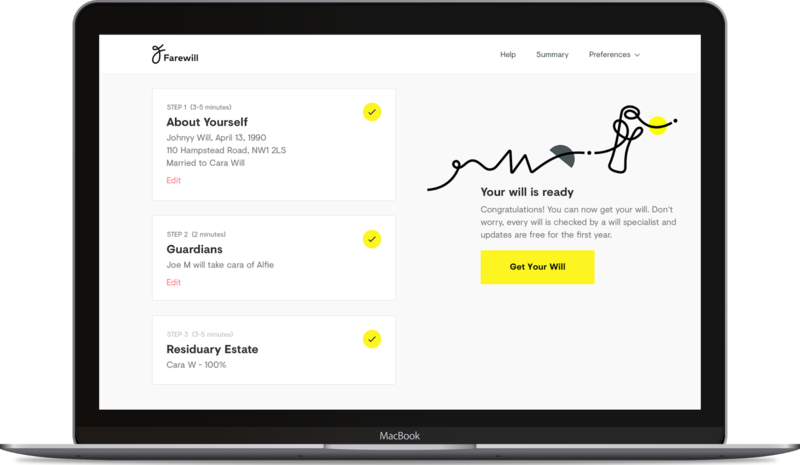 Let me know if you've organised your own will yet and if Farewill's simple service appeals to you. Really quick and easy. Honestly took less than 10 minutes. Straightforward, with no confusing legalese. Feel happier with this will than an expensive one that I can't understand. I have to admit, I've never even thought about a will, so this is definitely helpful - sounds like an easy way to do it! We both have wills, but this has reminded me that I need to make some changes. Fab, informative post, thanks for sharing, you've inspired me to sort my Will.